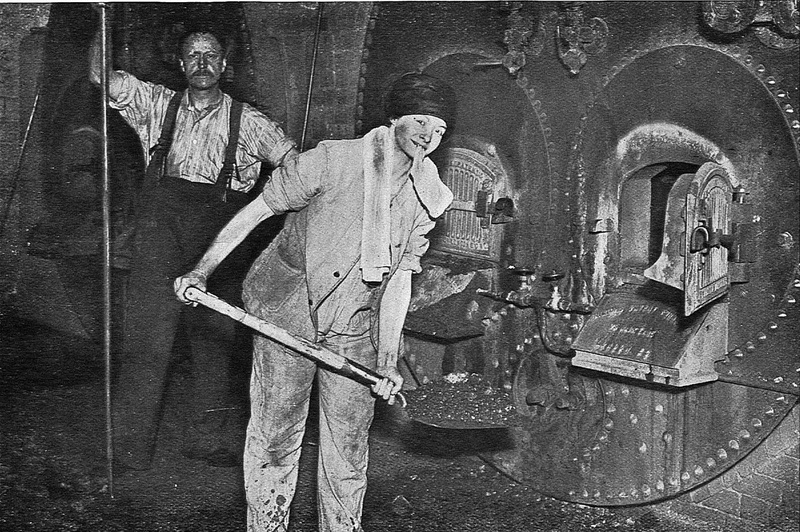 A woman stoker maintaining the furnace in a large factory. Published in ‘Women’s War Work in maintaining the industries & export trade of the United Kingdom’ by The War Office. Public Domain. Dr Rosemary Wall, University of Hull, explores how the deaths of 700 000 British men affected the lives of the country’s women following the First World War. With over 1/2 million more unmarried women in 25-34 age group, many women applied to the Overseas Nursing Association to increase their chances of marriage. Combatant women in the First World War. German women and the aesthetics of loss portrayed through art during the First World War. Presented by Dr Claudia Siebrecht, Lecturer in Modern European History at the University of Sussex. Explore resources contributed by the general public, libraries and musuems from across Europe. 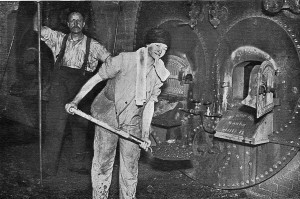 Considering the roles of both men and women during World War One, Susan R Grayzel asks to what extent the war challenged gender roles and to what degree society accepted them. Article on The British Library: World War One portal. Tim Kendall applies James Campbell’s renowned article to the Women Poets of World War I. Aimed at ages 11+ this teaching pack from The British Library provides a lesson to introduce some of the roles that women played to contribute to the war effort across a number of different countries. A selection of short films licensed for free educational re-use to the First World War Poetry Digital Archive. This entry was posted in Body and Mind, Teaching and tagged HQ (Family - Marriage - Women - Sexuality). Bookmark the permalink.